Where the little guy is a big deal. Welcome to Bow Farmers Market. 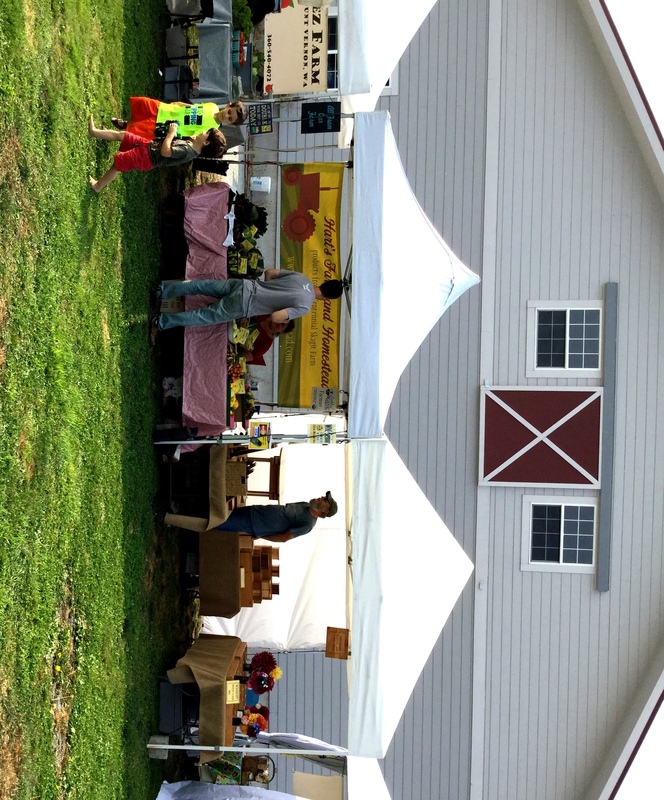 Your participation is critical to the success of this community-centered open-air market. It was organized in 2010 to support those in our community who grow fresh produce and/or make unique and fine-quality products. We aim to support the local economy by keeping area producers local; giving area consumers access to cheaper, fresher, and unique products produced in our community. Our market focuses on helping small-scale farmers and craftspeople to earn money within our local economy, keeping resources and revenue here at home. We welcome vendor applications from farmers, craftspersons, and prepared-food vendors. Fill out the form below to vend in 2019. Please contact Patty (360 724 3333; bowlittlemarket@yahoo.com) for more information. Bow Farmers Market begins its 10th season of regular Thursday markets running from June 13 through Sept. 12, 1 – 6 p.m., on the farm at Samish Bay Cheese, 15115 Bow Hill Rd., Bow. We will also hold a Holiday Market, Saturday, Nov. 30, 10 – 4, at Edison Elementary School in Edison. Bow Little Market is committed to keeping fees low to ensure our vendors’ success. Fees: Season fee is $35; per market fee as follows: earning less than $100, pay $10; $100 – $200, pay $15; over $200, pay $20. Drop-in vendors pay $25 3x. It is not necessary for vendors to sign up for all dates. Vendors must contact us at least 1 day in advance if you cannot attend a market that you are signed up for. The Holiday Market requires a separate application (https://bowlittlemarket.wordpress.com/holiday-festival/). There is a $50 application fee and 2% fee for sales over $750. Jurying for this event takes place in mid-September with notification by the end of September. The $50 fee is due upon acceptance. For more information, call 360 610 6378 or email bowlittlemarket@yahoo.com.